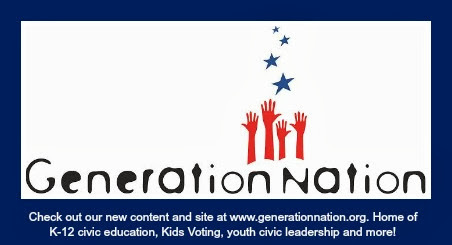 The North Carolina Civic Education Consortium, Constitutional Rights Foundation (CRF) and GenerationNation (home of Kids Voting Mecklenburg, Youth Civics and Youth Voice) are pleased to offer a rare professional development opportunity for civics and government teachers. Join us after school on Thursday, February 2 to learn about implementing CRF’s “Civic Action Project” (CAP) curriculum in your civics and government courses. With a focus on policy making, effective citizenship and real world application, this innovative program can assist in making tested material more relevant and engaging for students! The CAP curriculum consists of a series of succinct, interactive, and easy-to-implement policy related lessons plans. Through readings, discussion questions that promote critical thinking, and engaging classroom activities contained in the lessons, students learn how government content applies to policymaking at the local level, how policy is made and can be influenced, as well as strategies for effective citizenship. The CAP curriculum simultaneously leads students through their own civic action project, in which they select a problem or issue in their own community relating to policy, examine and analyze the problem or issue, and consider and implement civic actions to affect change around that issue. The curriculum is designed to give teachers a practical range of options for taking students through the civic action process, as well as offers teachers planning support, guidance, content, and teacher-tested tips. Most importantly, this curriculum provides students with a chance to apply what they have learned to a real world experience in taking civic action, thus bringing tested civics and governmental concepts to life. Dinner and materials will be provided. Teachers who complete the project will receive CEU and other incentives. Seats are limited. Register today! To register, contact Amy Farrell with your name, school, email and phone number. We'll provide more information about training location and other details in January. Questions? Call 704-343-6999 or email us.